Home iOS apps What ‘Move to iOS’ Alternatives are Available Online? Move to iOS is Apple’s way of saying “welcome aboard” when somebody is switching from a non-Apple device to an iPhone or an iPad. No doubt, it is a powerful utility, but are there any alternatives to this particular piece of software? And why would anyone want an alternative to an easy solution? The second question is easy to answer. Move to iOS isn’t perfect. It sometimes throws up errors that users just can’t understand or deal with. For example, you may get this message: “Unable to migrate. Please try again later.” But you try again later and it still doesn’t work. In other cases, the app might just freeze and prevent you from proceeding any further. 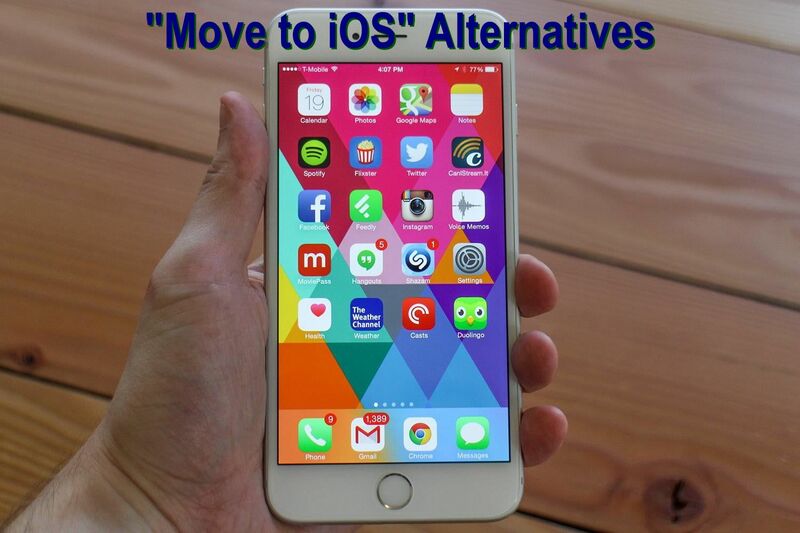 Finding the right software to help you move from a non-iOS environment to an iPhone or iPad is not all that easy. For one, there are the compatibility issues we spoke about. Another problem is data integrity: that means, will the data be transferred without any changes to it, or are there chances of the data being corrupted or lost in the process of transitioning from one OS to another? Of course, there is no dearth of availability when it comes to data transfer software utilities. However, you need to be careful which utility you use to move from Android or another operating system to iOS. In this article, we show you a couple of really powerful options that you can consider using when moving to iOS. Depending on your specific requirement, you may find either or both methods to be extremely useful. Google Drive is an extremely flexible application, and when used in tandem with your main Google account, you can easily export all your data – including contacts – from your Android device to any iOS device.